Interested in the Civil War or World War II? Want to learn about the weaponry and tactics used by the British infantry in the Victorian Era? Or maybe you are just a history buff who loves it all. 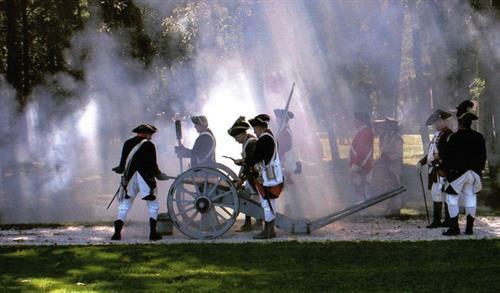 Historic Cold Spring Village will host its annual Military Timeline Weekend on Saturday and Sunday, June 15-16, which will feature encampments, weaponry displays, and demonstrations from living history groups depicting various conflicts throughout the centuries. This event will be held from 10am-4:30pm on both Saturday and Sunday. HCSV Education and Interpretation Director Jim Stephens will present his lively program, The Story of Old Glory, in which he tells the colorful history of the American flag with reproduction flags on display.